what I have done is my life. 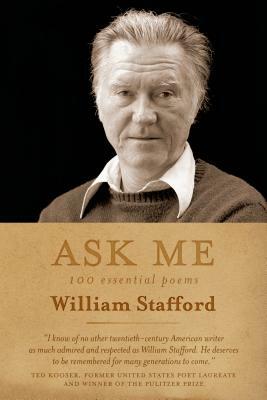 In celebration of the poet's centennial, Ask Me collects one hundred of William Stafford's essential poems. As a conscientious objector during World War II, while assigned to Civilian Public Service camps Stafford began his daily writing practice, a lifelong early-morning ritual of witness. His poetry reveals the consequences of violence, the daily necessity of moral decisions, and the bounty of art. Selected and with a note by Kim Stafford, Ask Me presents the best from a profound and original American voice. Kim Stafford is a writer and director of the Northwest Writing Institute at Lewis & Clark College in Oregon.